The Phantom Laboratory and Image Owl announce the introduction of Magphan® RT for MR QA in radiotherapy. Magphan RT measures the key performance measurements of MR imagers used in radiotherapy planning and guidance. The system consists of a modular, easy-to-handle phantom with automated software to analyze and track performance. It has become increasingly important to quantify key parameters such as geometric distortion in MR images as they become increasingly used in radiotherapy. The Magphan RT phantom measures distortion with precisely position spheres spaced throughout the phantom volume. Measured and known positions are compared by the analysis software to produce a three dimensional distortion map. The Magphan RT phantom large size configuration consists of self-contained top and bottom modules that fit together precisely. 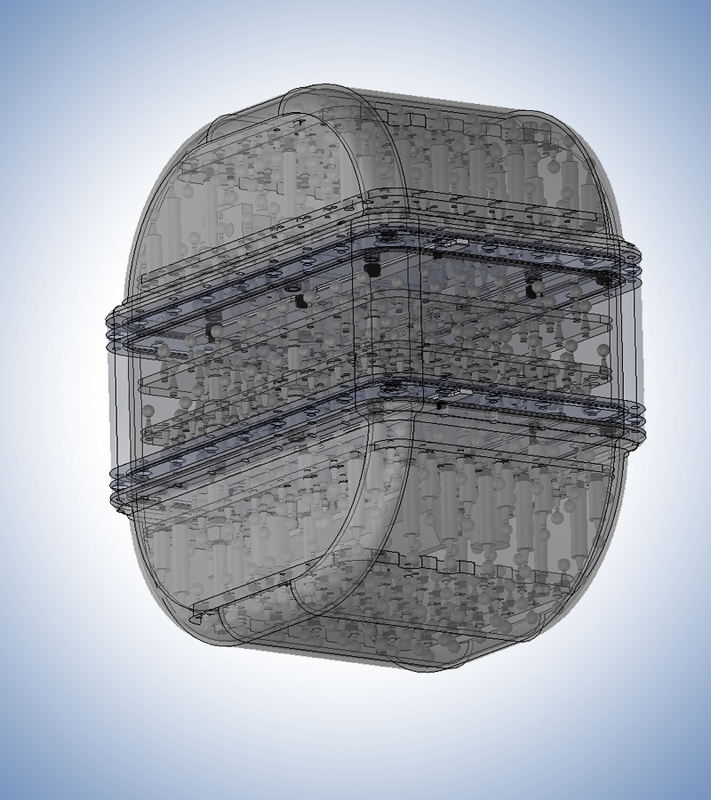 An optional center module can be placed between the top and bottom modules to produce a super size configuration. This modular design provides measurement over the range of torso sizes commonly encountered in clinical practice while ensuring that the phantom can be handled by a single medical physicist or therapist without special equipment. The Magphan RT measures a number of important MR image characteristics that can indicate system degradation or failure. These include distortion, uniformity, resolution, slice thickness and signal to noise ratio. The included analysis service provided by Image Owl’s Total QA® is accessible on any web enabled device and requires no installation. The service analyzes, tracks, presents and stores all the data associated with Magphan RT. For more information contact info@phantomlab.com or info@imageowl.com.